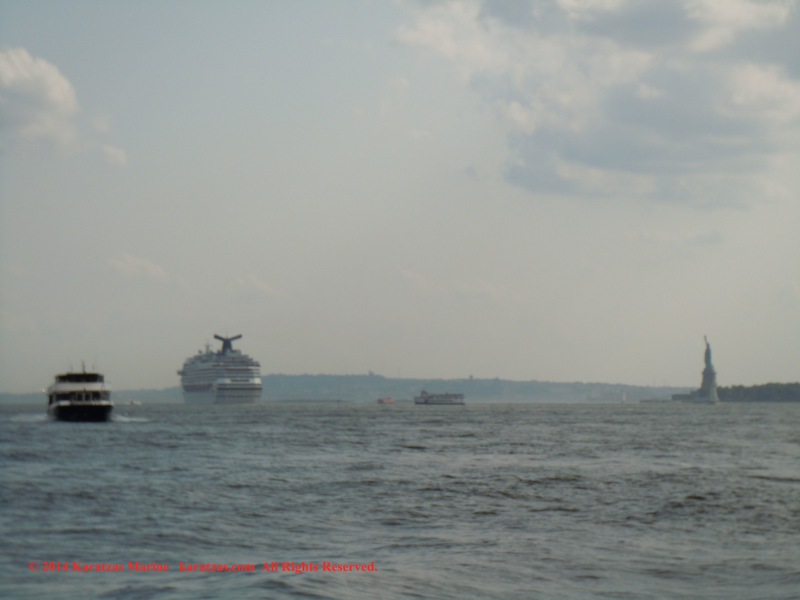 Posted on July 26, 2014 by Karatzas Marine Advisors & Co. 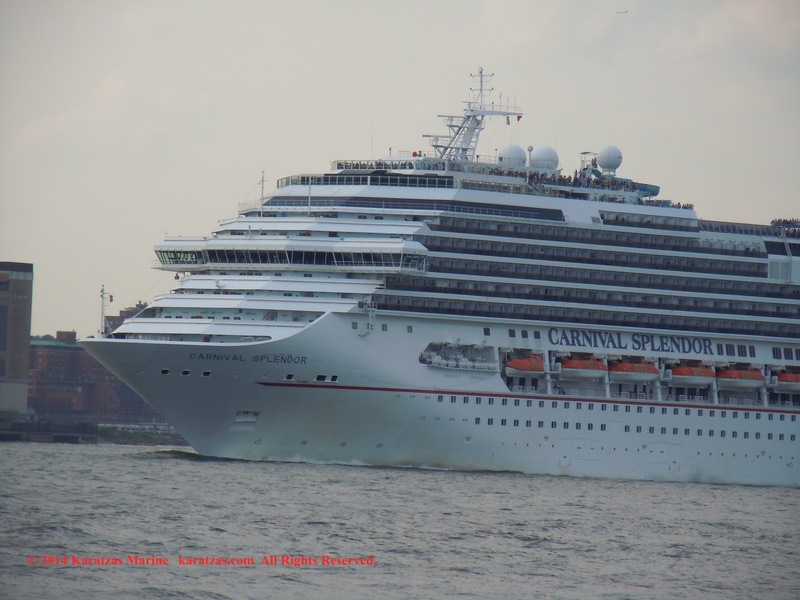 OWNER / MANAGER DETAILS: Carnival Cruise Lines, URL: http://www.carnival.com. 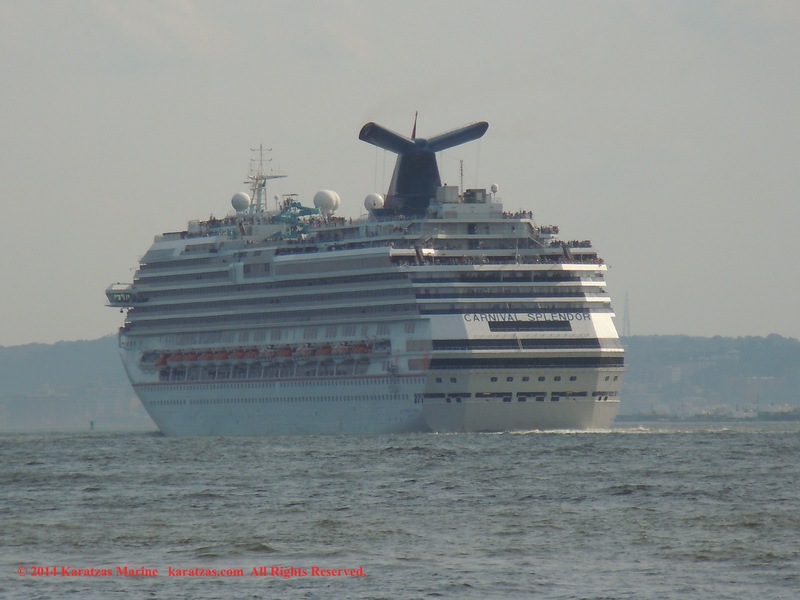 CAPACITY: Total number of Passengers 3,784, 1503 Passenger Cabins, 3006 Passenger Berths, 13 Passenger Decks, 1180 Crew. 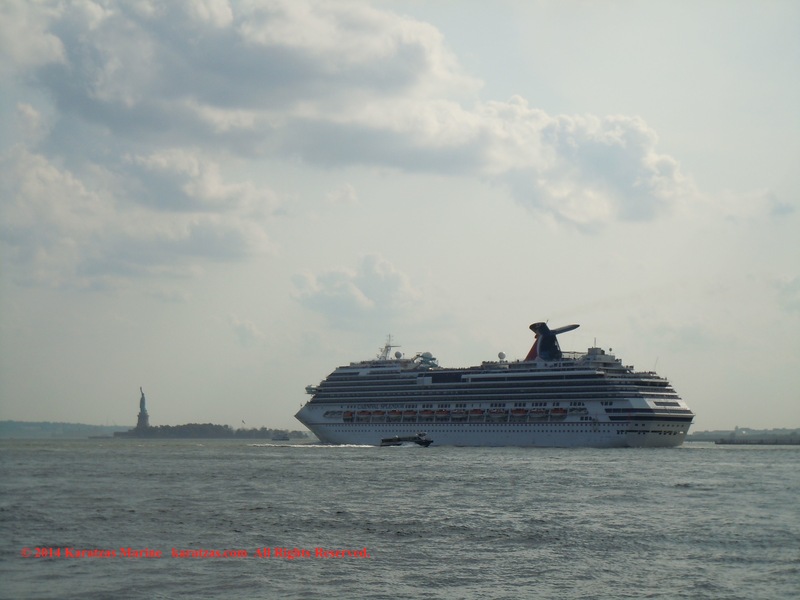 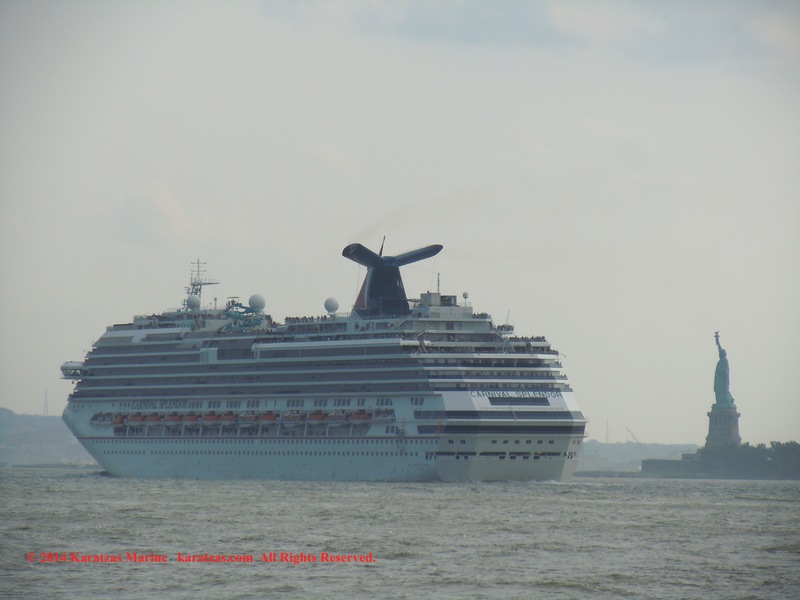 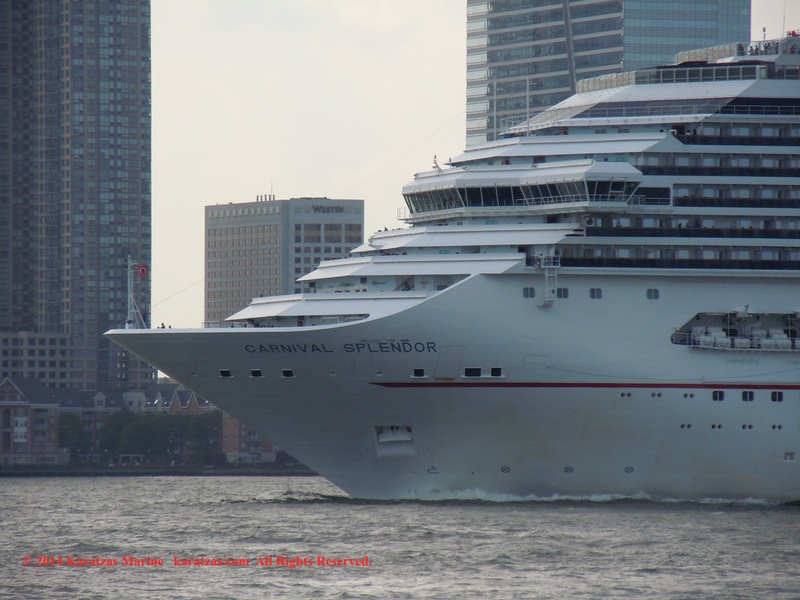 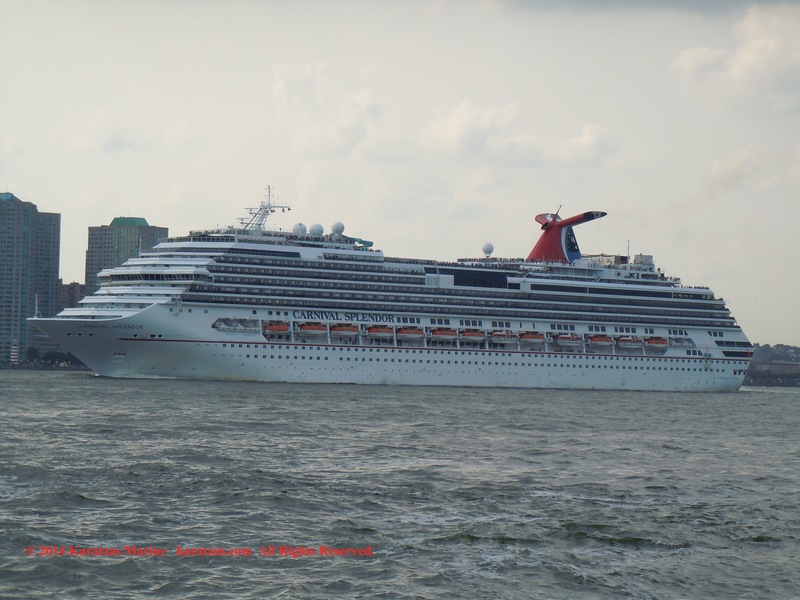 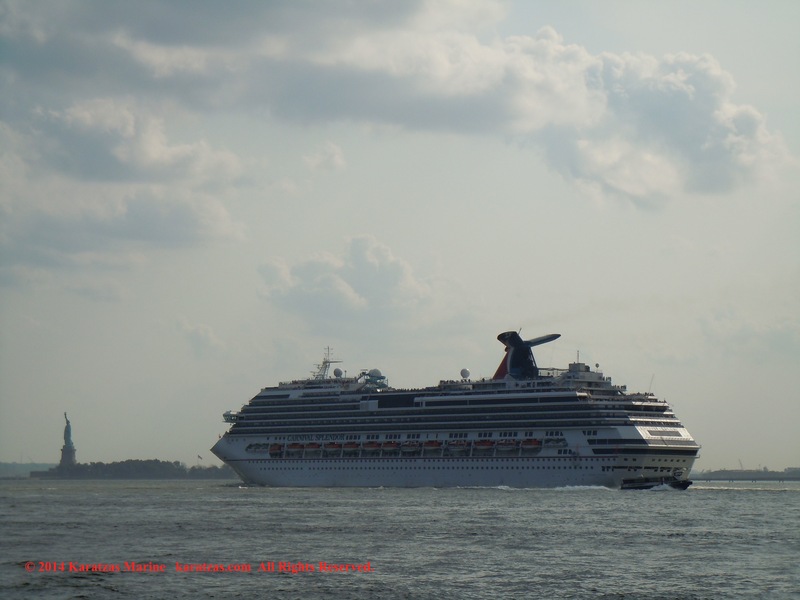 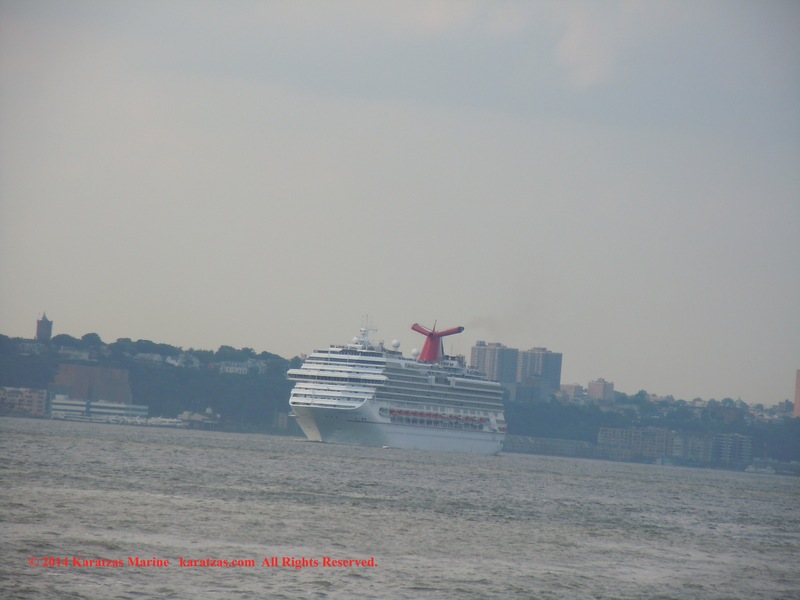 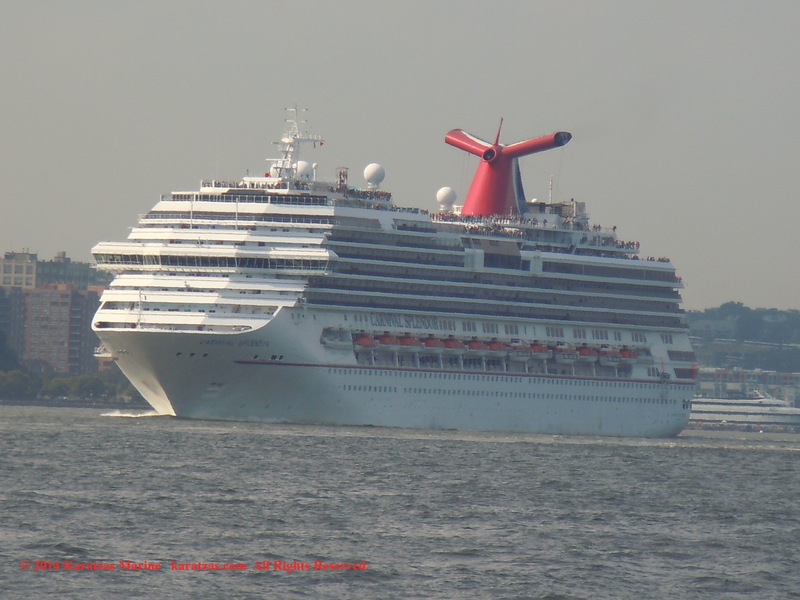 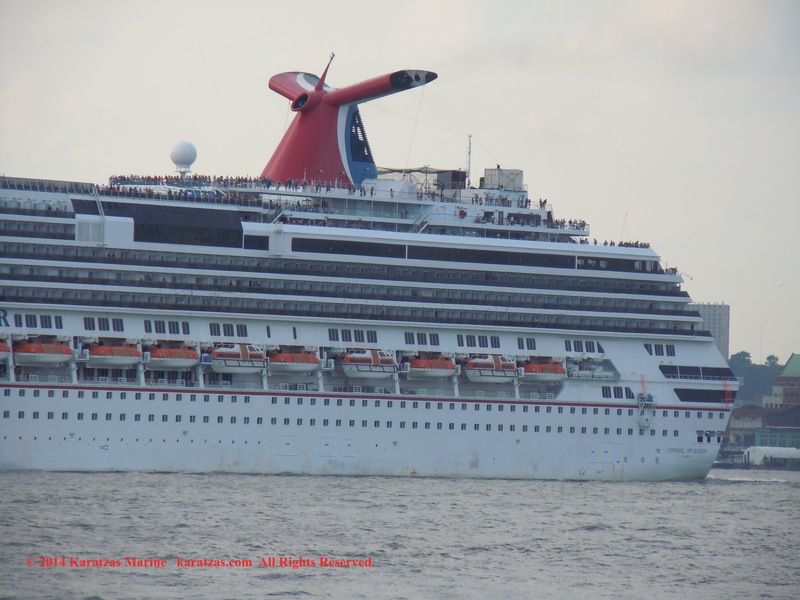 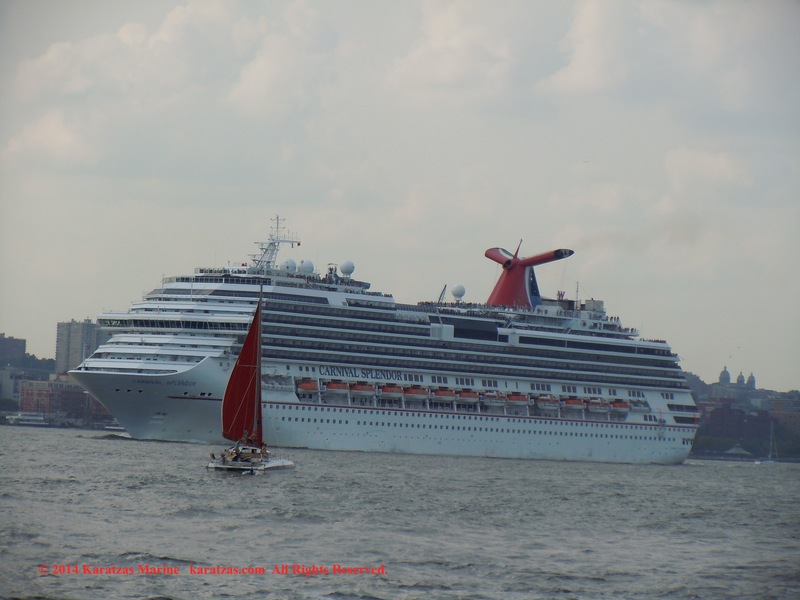 Cruiseship MV ‘CARNIVAL SPLENDOR’ departing from Manhattan Cruise Terminal in late July 2014; (3,000 berths built at Fincantieri in Italy in 2008) Passing the Statue of Liberty!